To find Be.Yoga - If Avon Clock & Lighting is directly behind you - you will see glass doors between Toshi and Thai restaurant - that's our entrance - head up and into the loft! Be.Yoga emerged from the inspiration of simply, truly just Be.ing. Kristin has been studying yoga for over 20 years and teaching for 18 years. You'll find Kristin on the mat during classes & trainings, in the office & on retreats, creating a loving space for you to just Be! Learn more below about Kristin and the other passionate teachers at Be. sharing their love of yoga. Kristin loves to combine yoga, adventure and bringing like minded people together in environments that are inspiring and revitalizing. Kristin has been leading retreats locally and Internationally for 11 years. Click below to see upcoming retreats and adventures, read testimonials and learn how to customize your own family, friend or corporate retreat. Be is a space not only for yoga, but also a space for learning, sharing and bringing community together. "Be.Within" is a 100 hr Yoga immersion designed to deepen your connection to yoga. "Be.Teaching From Within" is a 200 hr Yoga Alliance accredited Yoga Teacher Training. 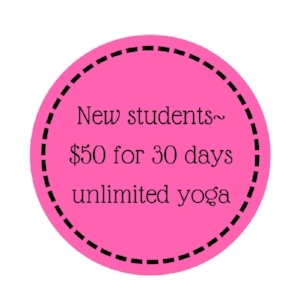 Both programs are limited to 12 people and are designed to clarify and strengthen your connection to yoga both for YOU and for your clients. All are welcome!